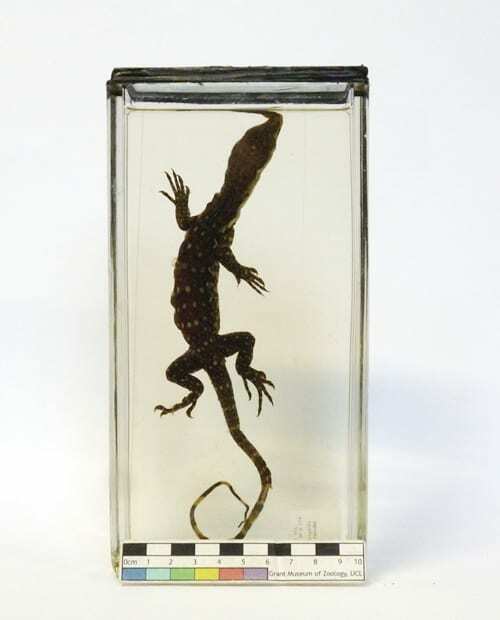 This specimen of the week is a lizard found throughout Asia. They have a colourful youth, are shy around humans and have been known to shelter in abandoned termite mounds. Say hello to the Bengal monitor (Varanus bengalensis)!